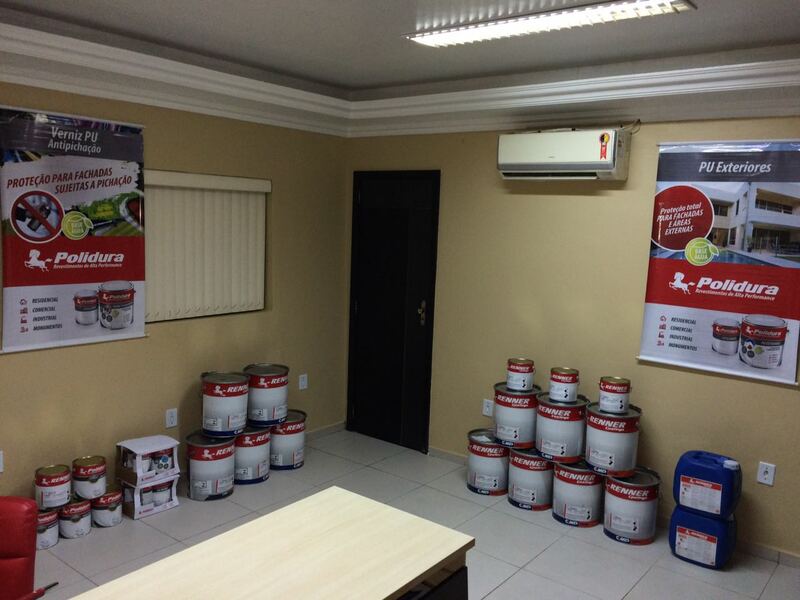 IB Tintas, exclusive Renner Coatings distributor in Manaus, recently inaugurated Renner Space. There are 35m² dedicated to the exhibition and commercialization of products of the Protective, Marine and Decorative Coatings businesses. With the objective of serving the customer in a differentiated way, it has all the necessary tools to develop commercial technical business, besides providing the necessary support in the formatting of painting schemes. The IB Tintas unit is located at Alvaro Maia Av., 945 - Boulevard, and besides that, there is also another store in Cidade Nova, also in Manaus. Are you from Manaus or just visiting? Enjoy and pass by IB Tintas, an authorized Renner Coatings resale.